Looking for a beautiful keepsake ornament for your little angel's 1st. Christmas? Let us great a this beautiful ornament just for your little angel. 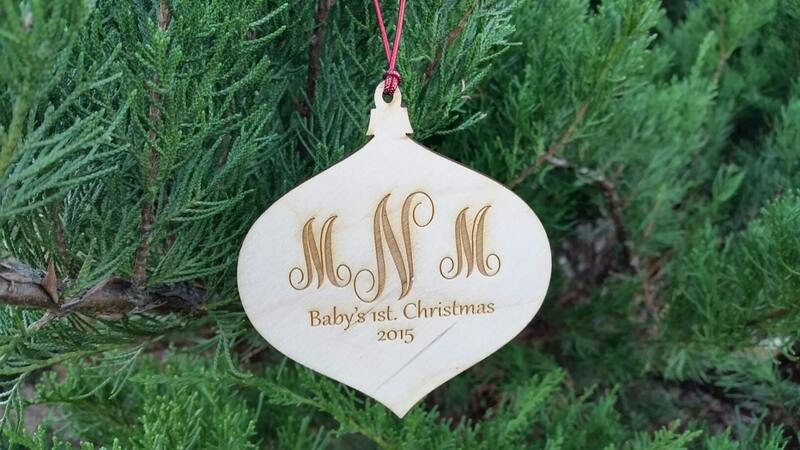 Each ornament will be laser engraved with a monogram, baby's 1st. Christmas and year for a truly special and personal keepsake. Our ornament is hand crafted from wood in the USA and personalized by hand by us with our laser machine.